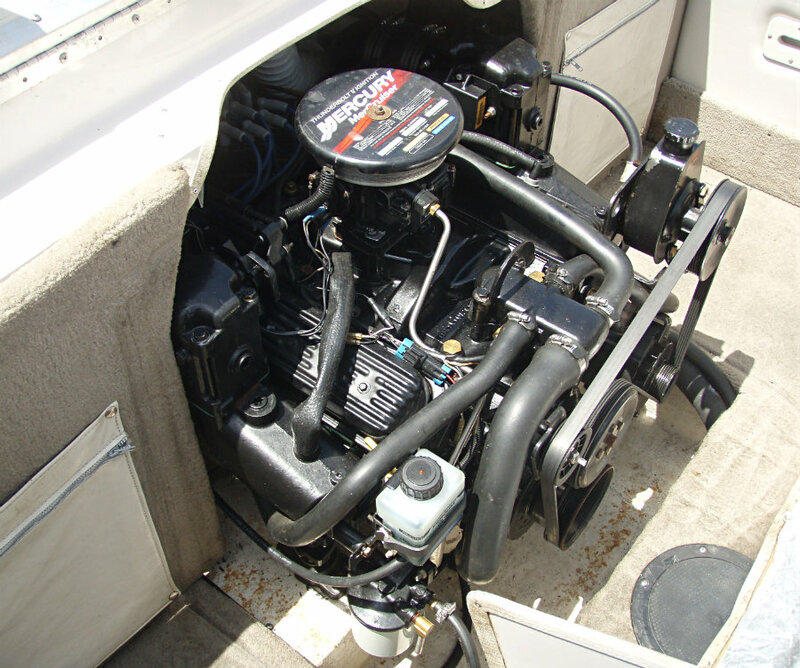 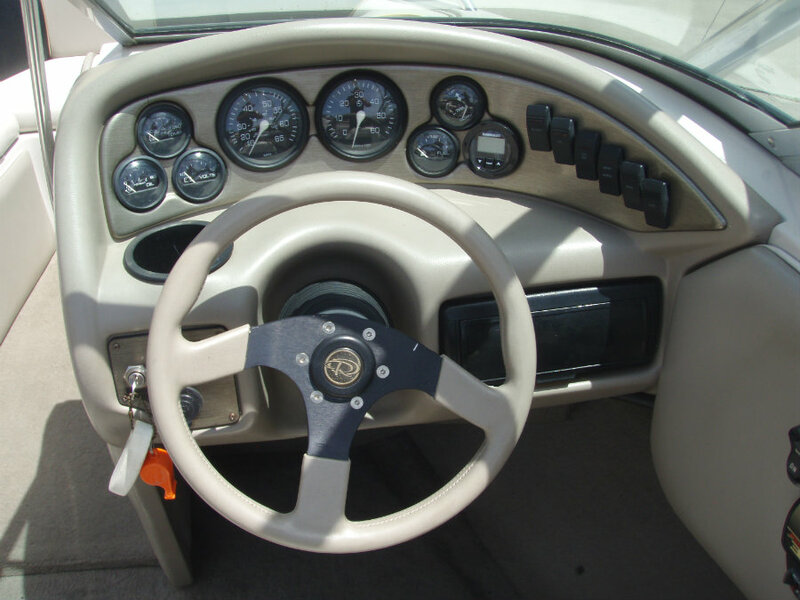 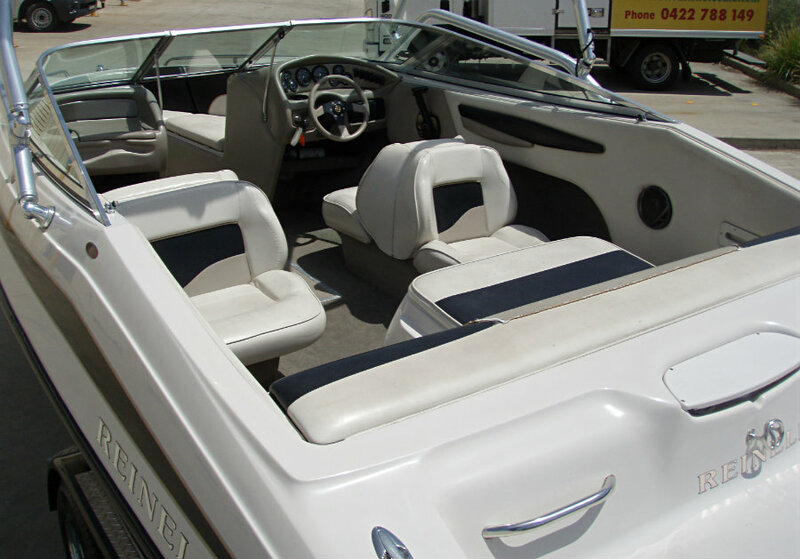 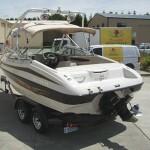 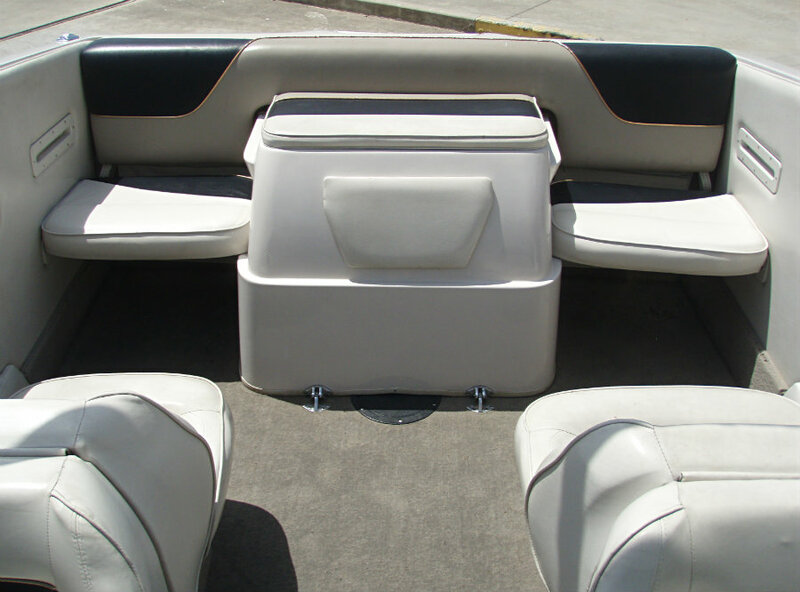 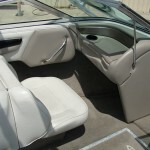 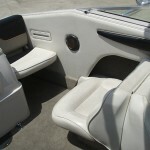 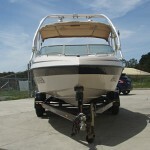 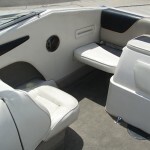 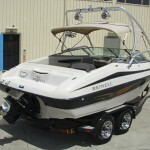 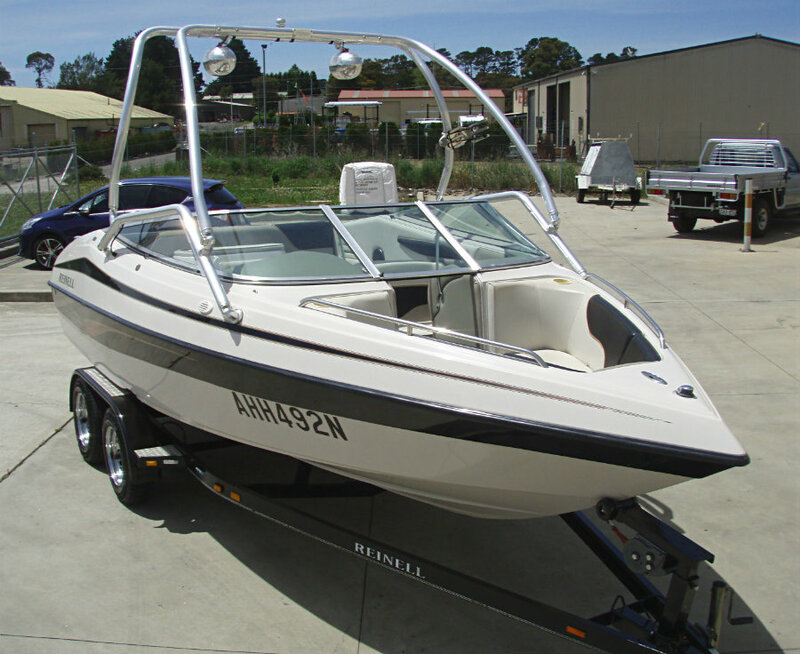 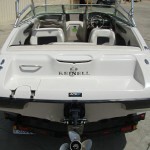 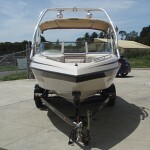 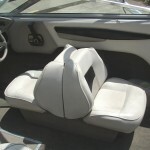 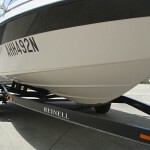 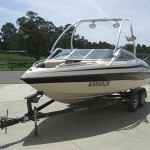 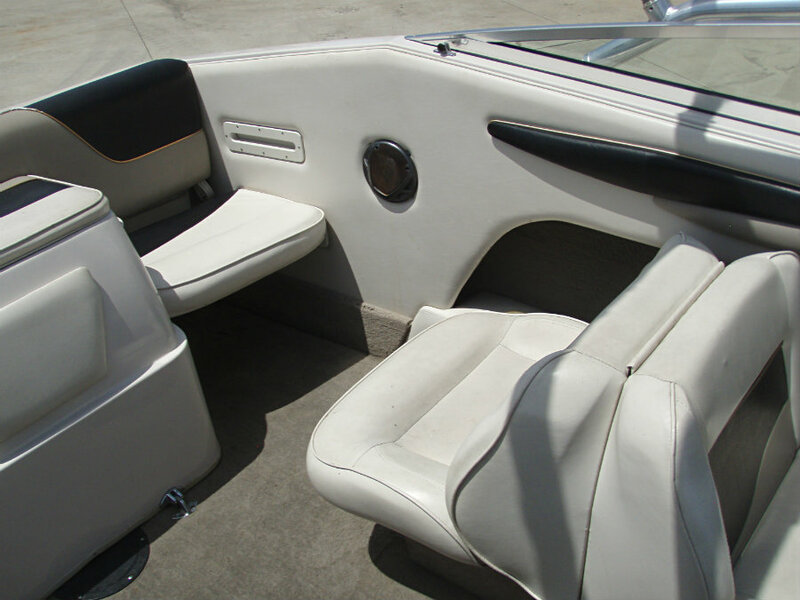 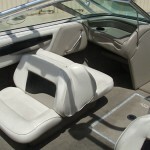 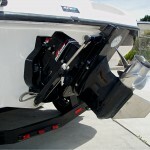 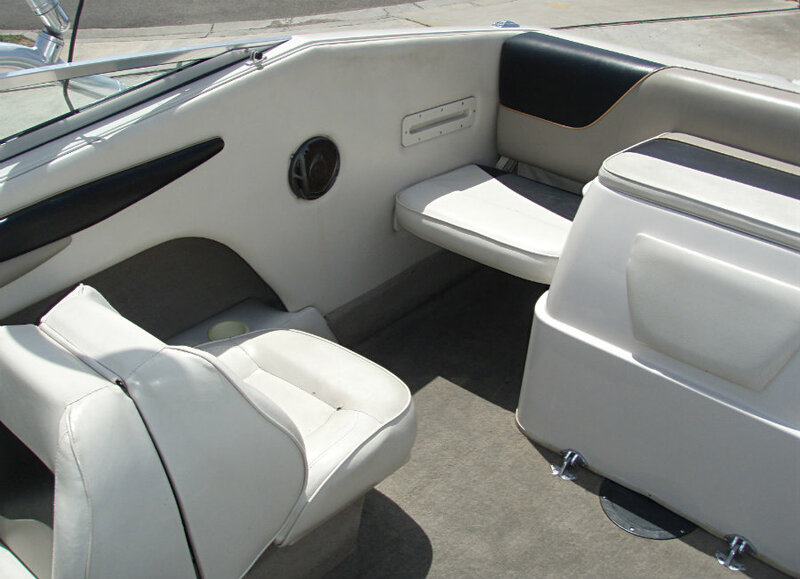 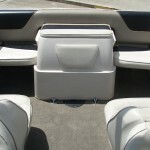 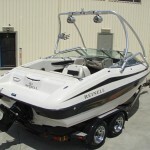 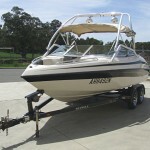 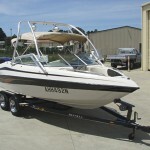 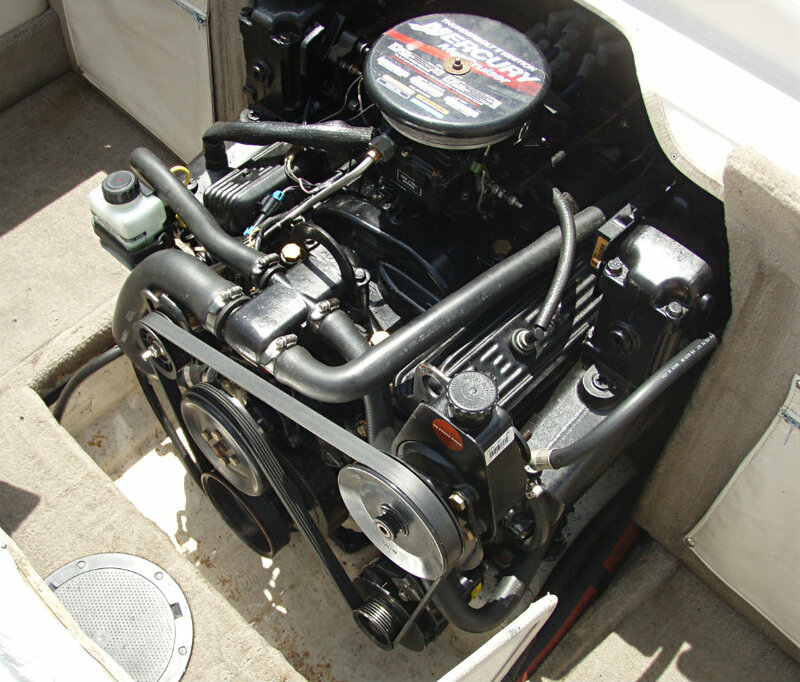 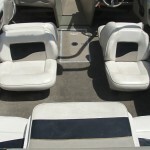 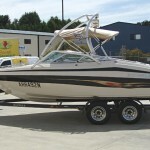 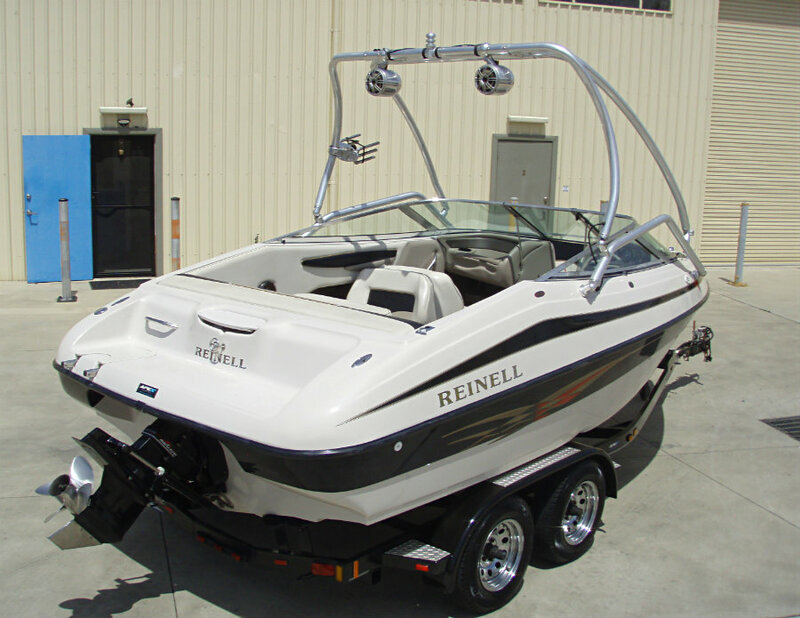 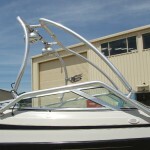 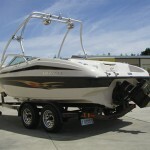 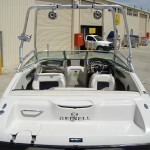 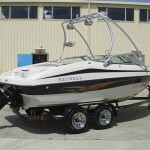 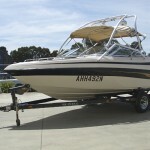 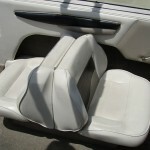 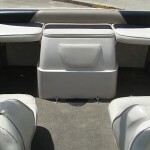 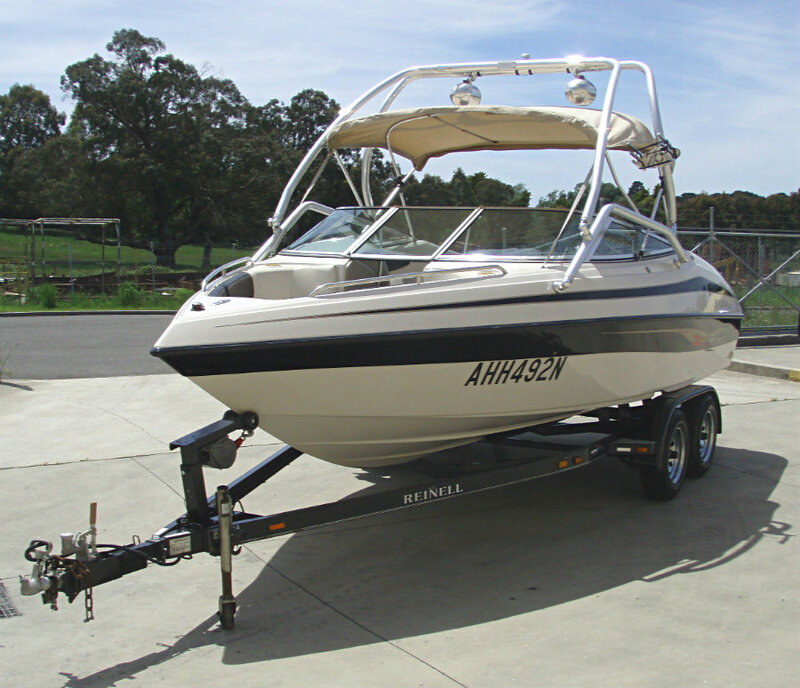 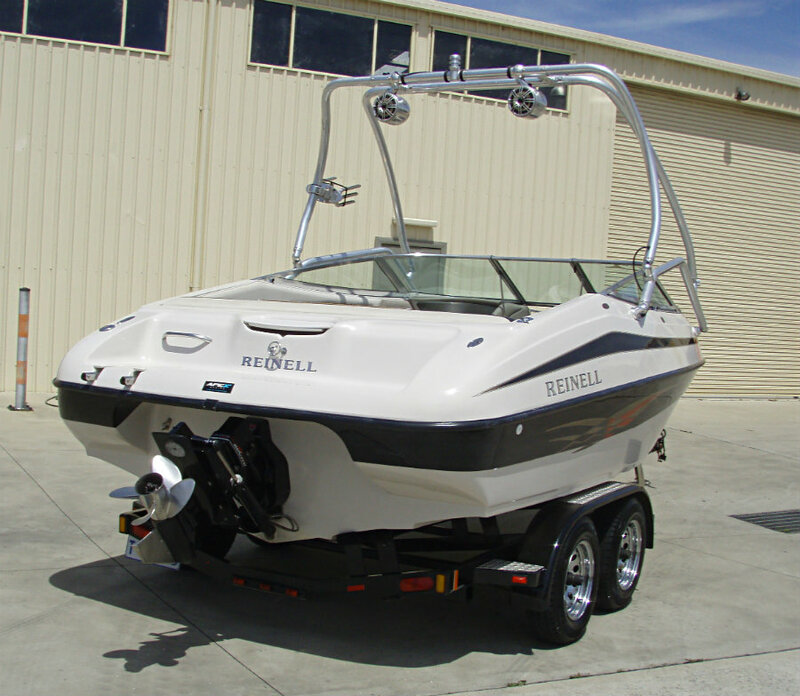 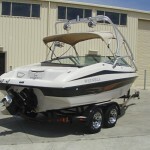 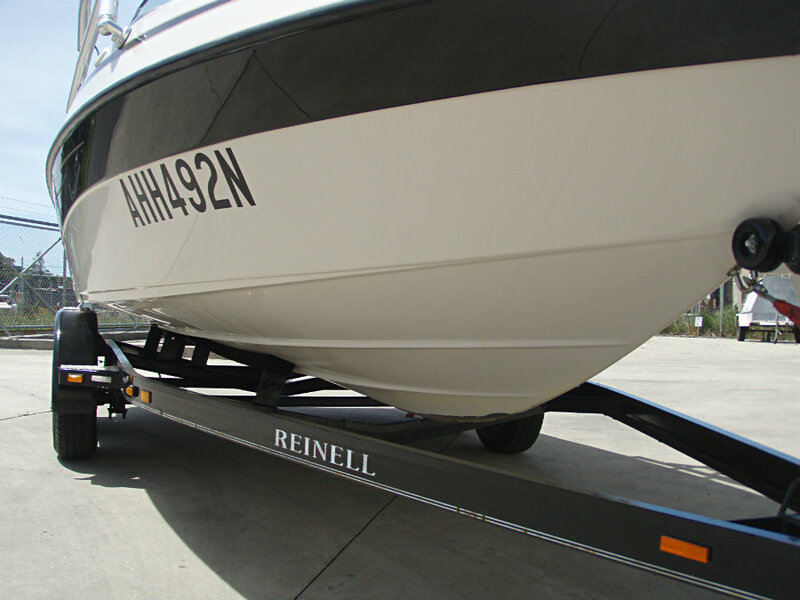 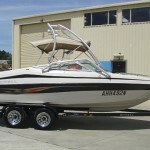 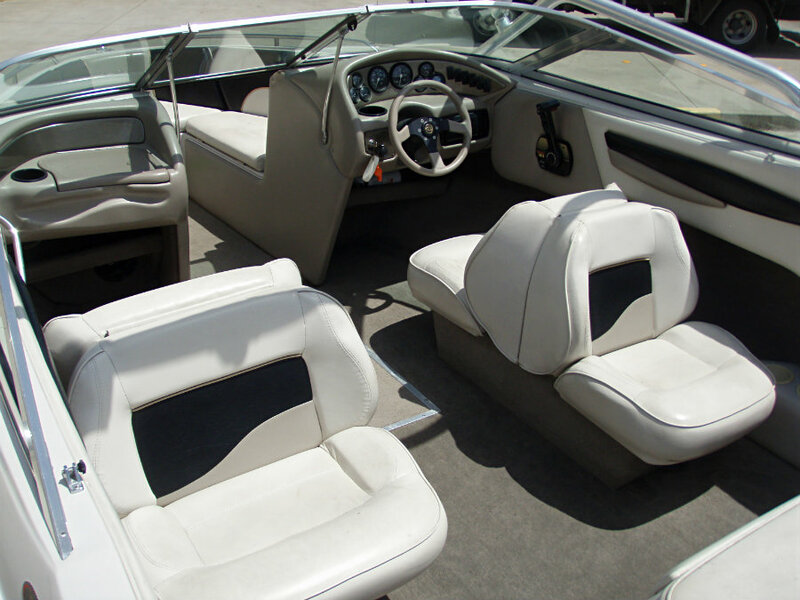 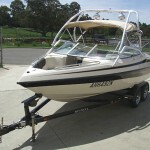 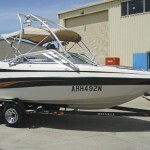 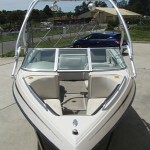 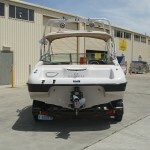 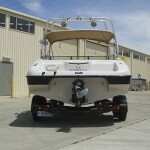 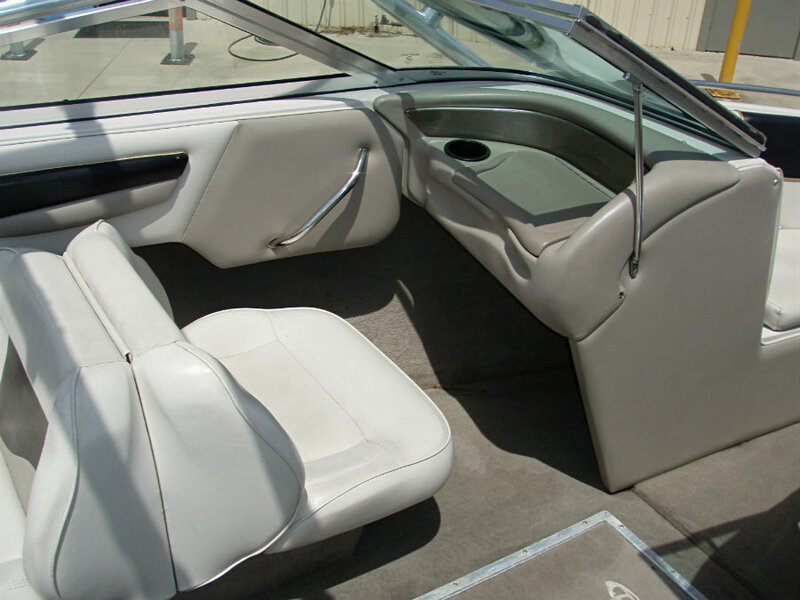 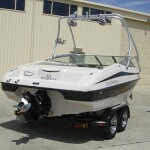 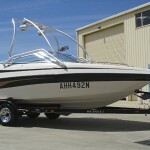 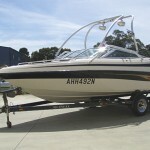 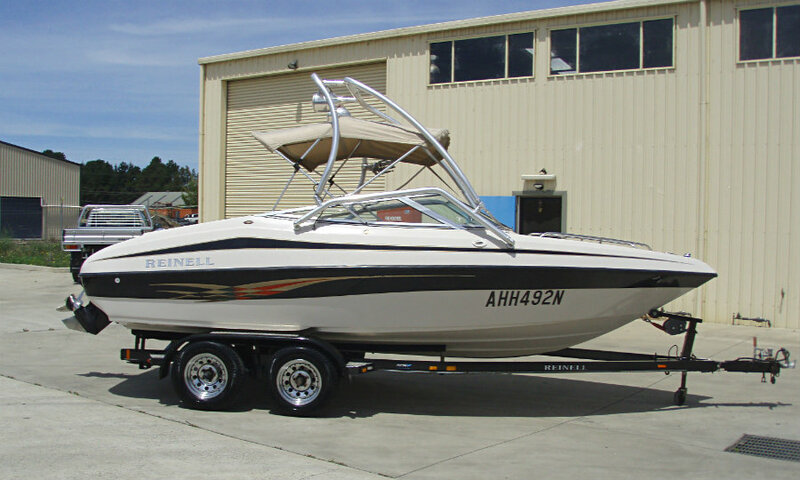 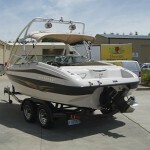 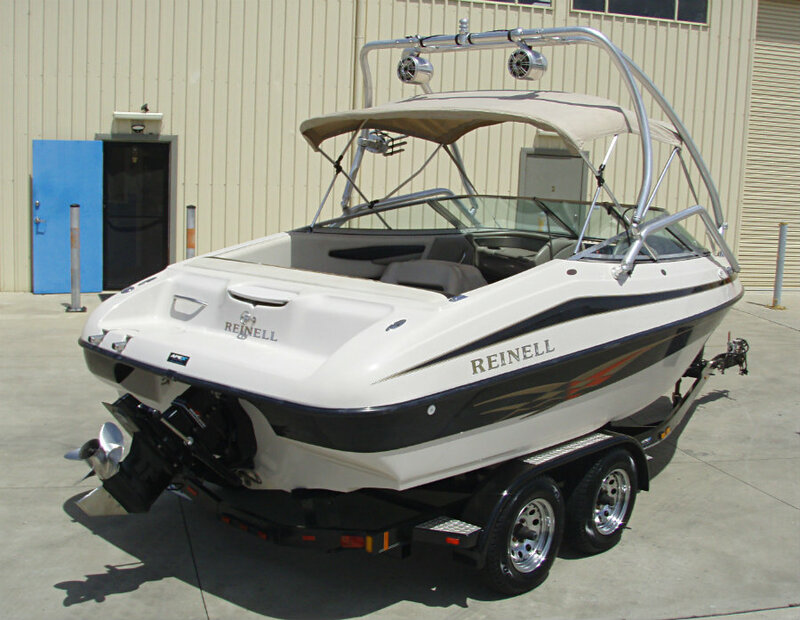 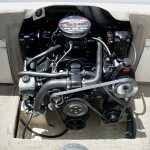 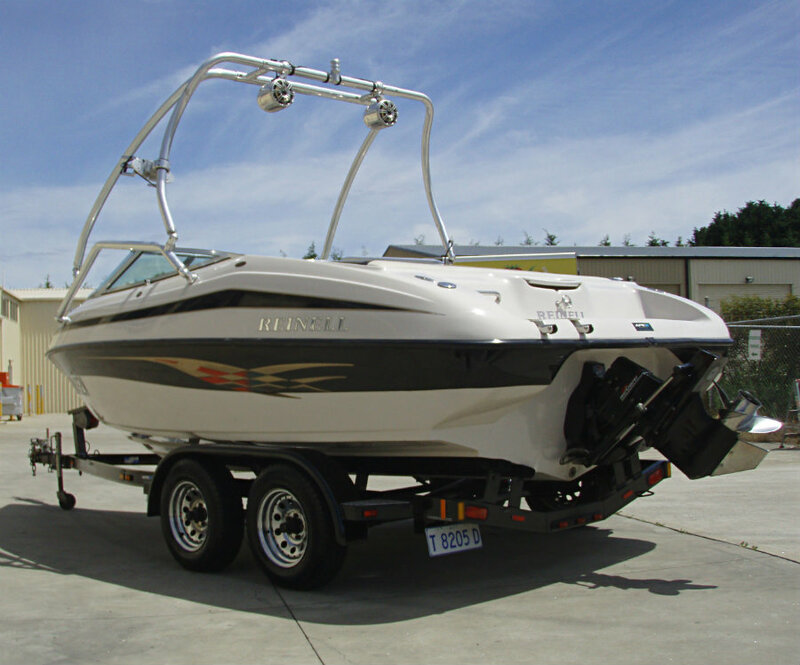 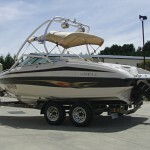 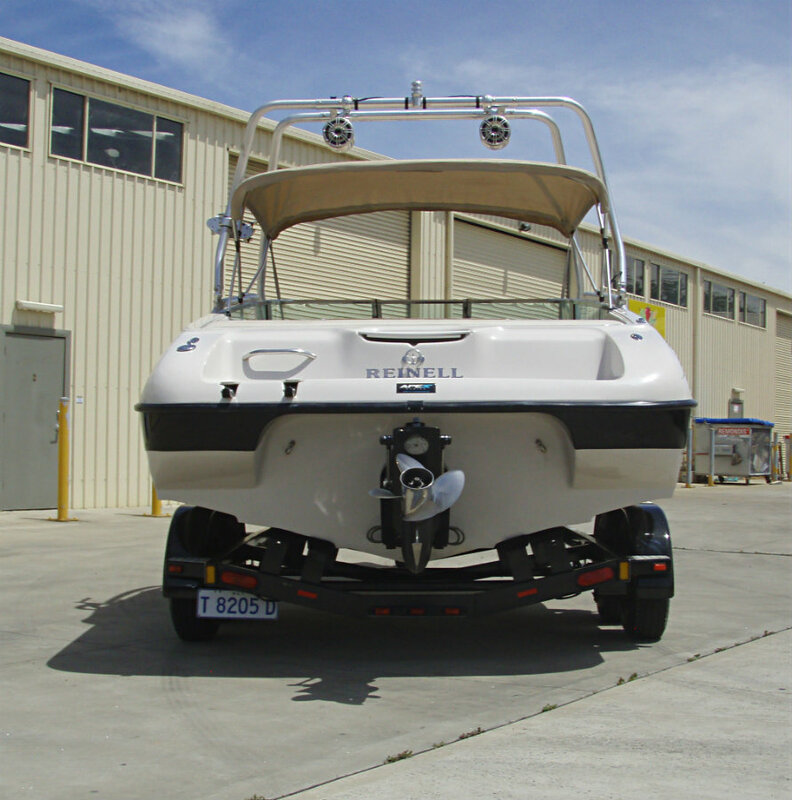 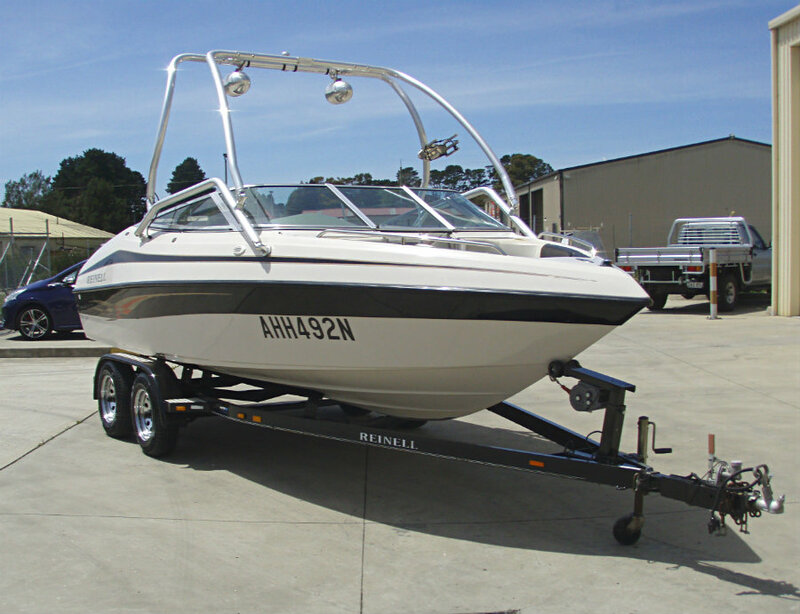 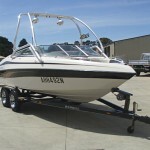 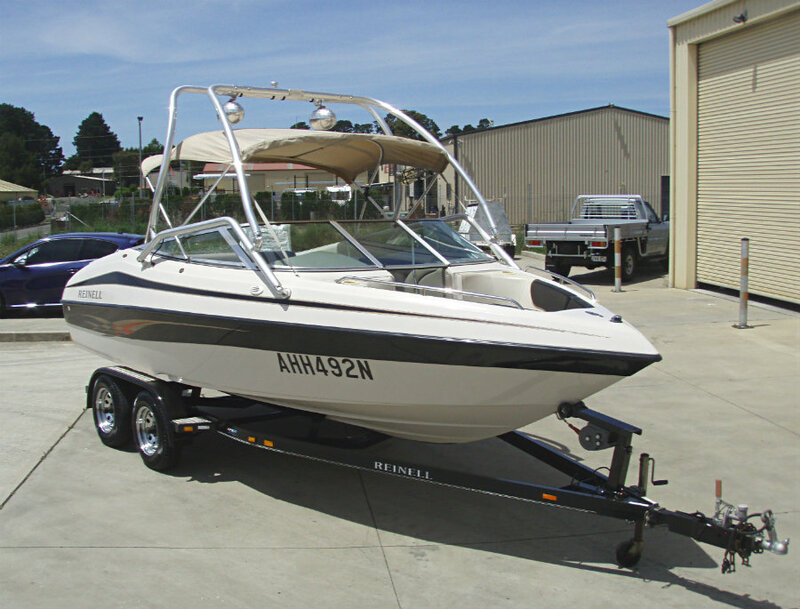 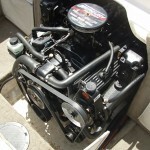 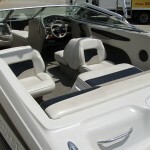 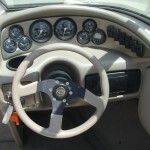 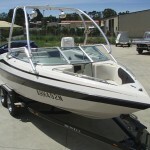 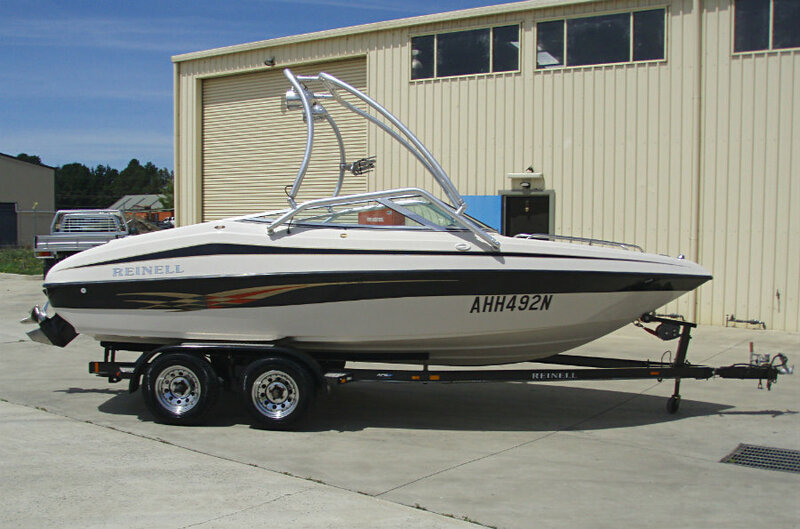 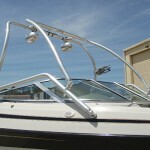 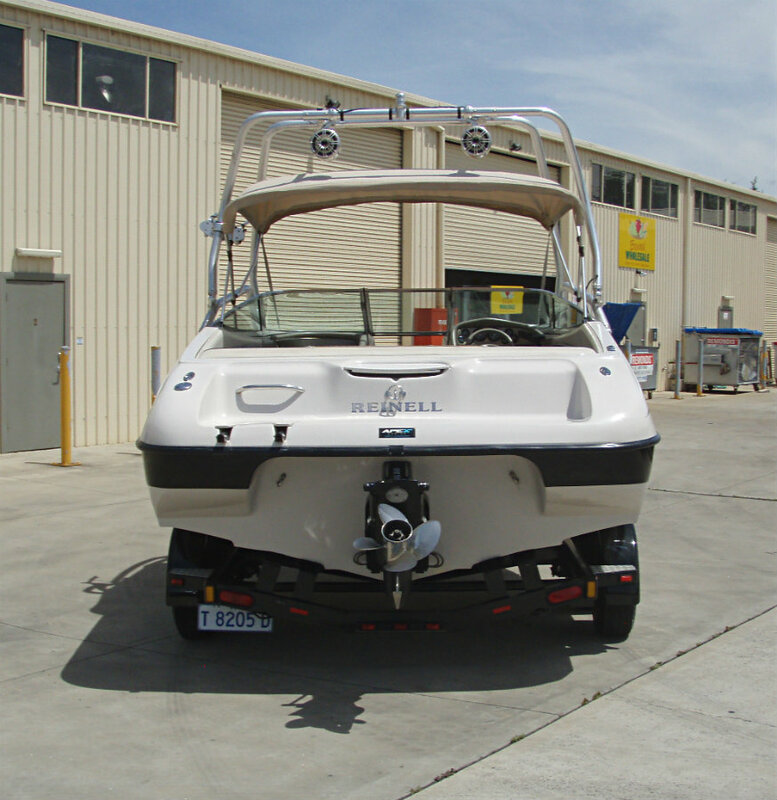 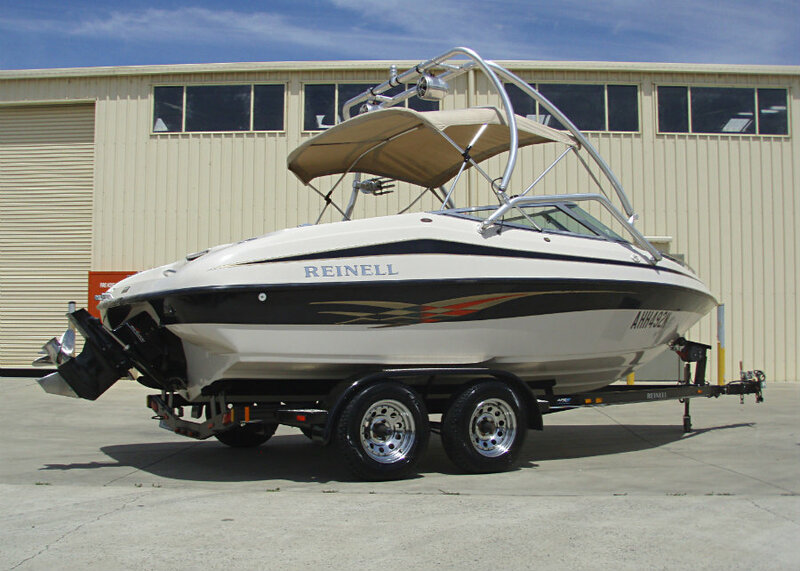 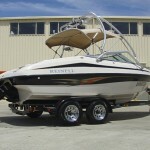 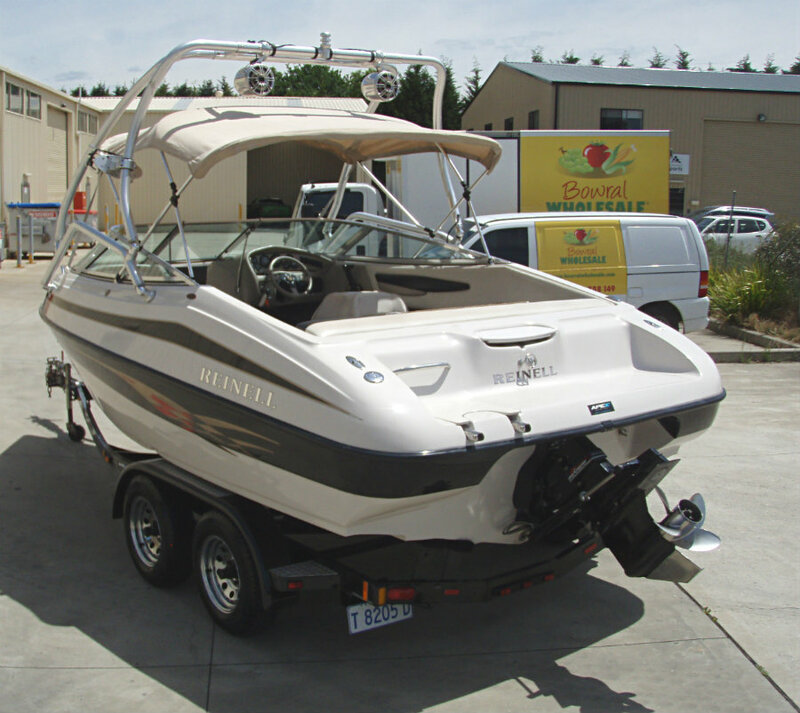 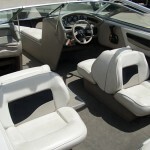 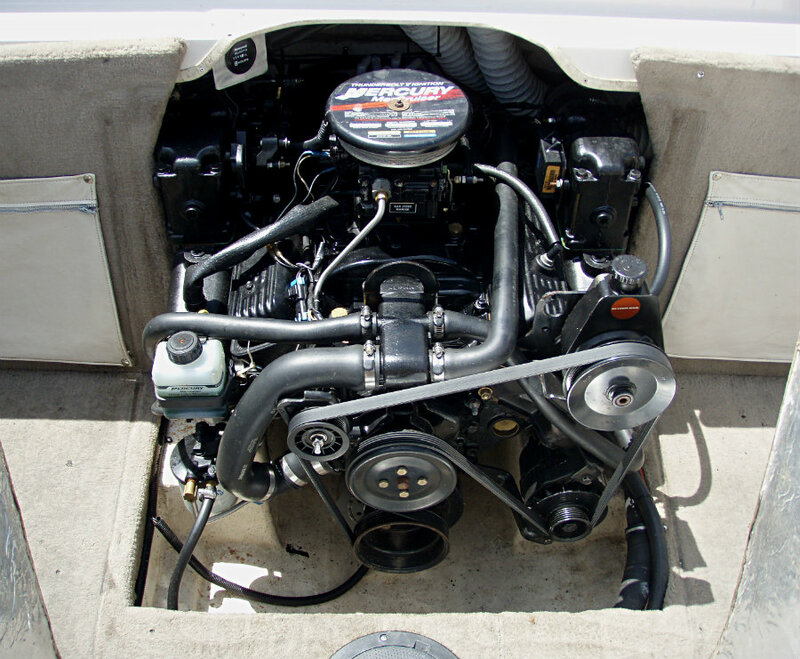 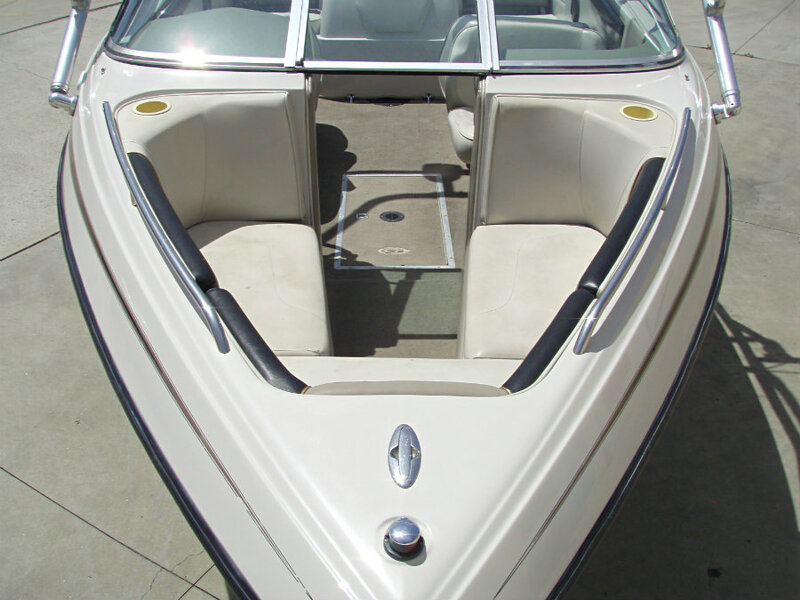 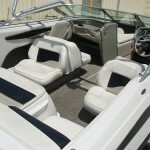 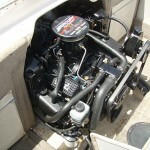 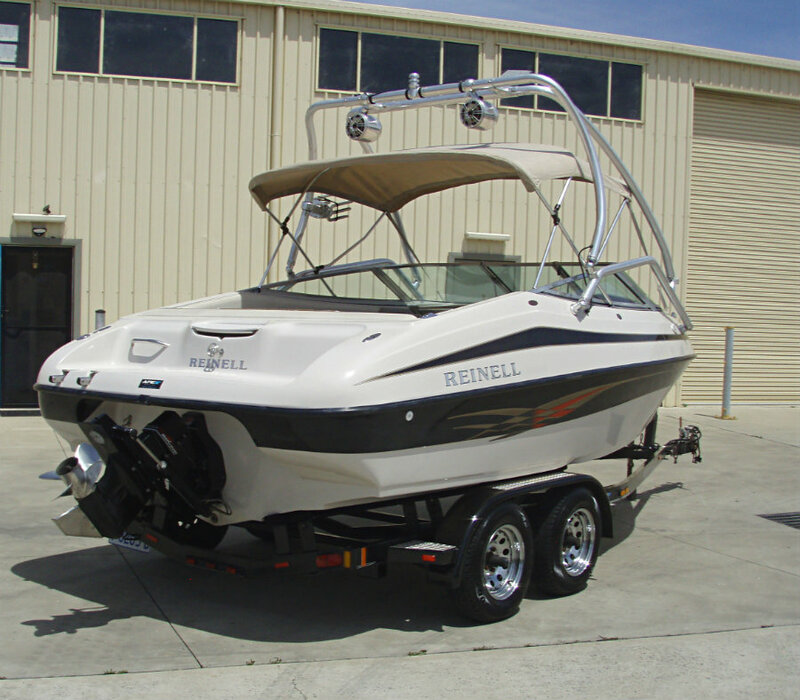 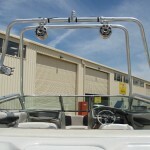 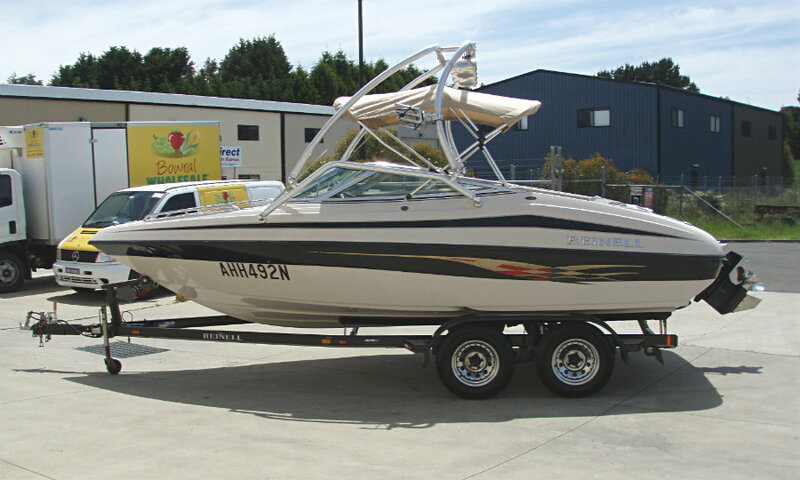 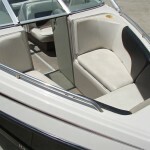 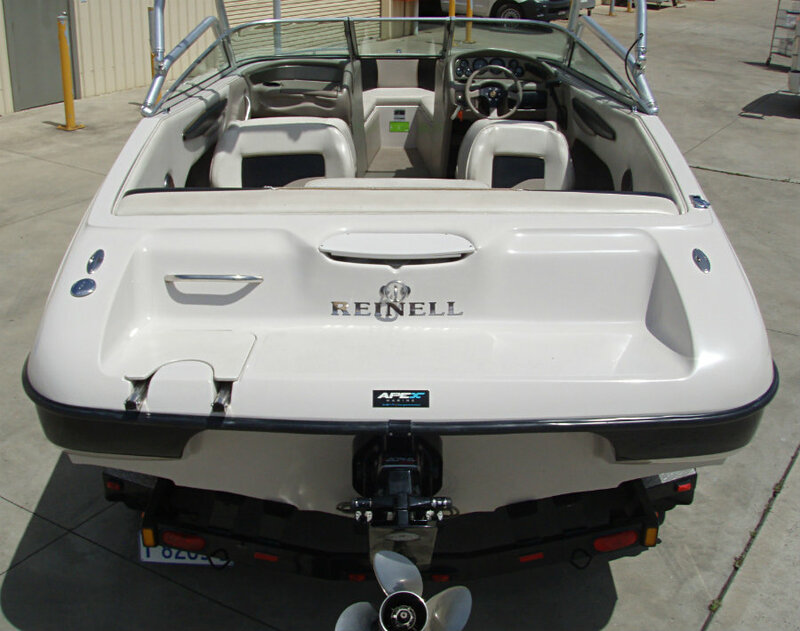 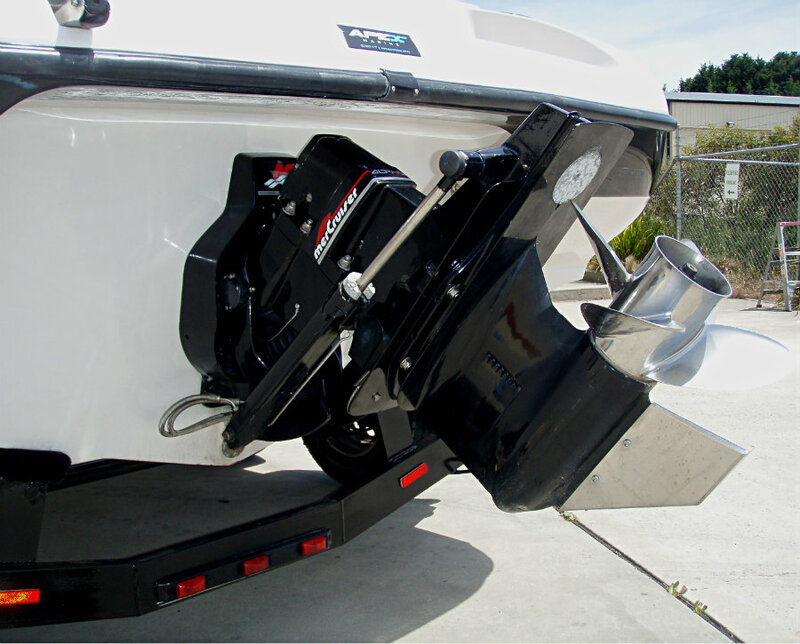 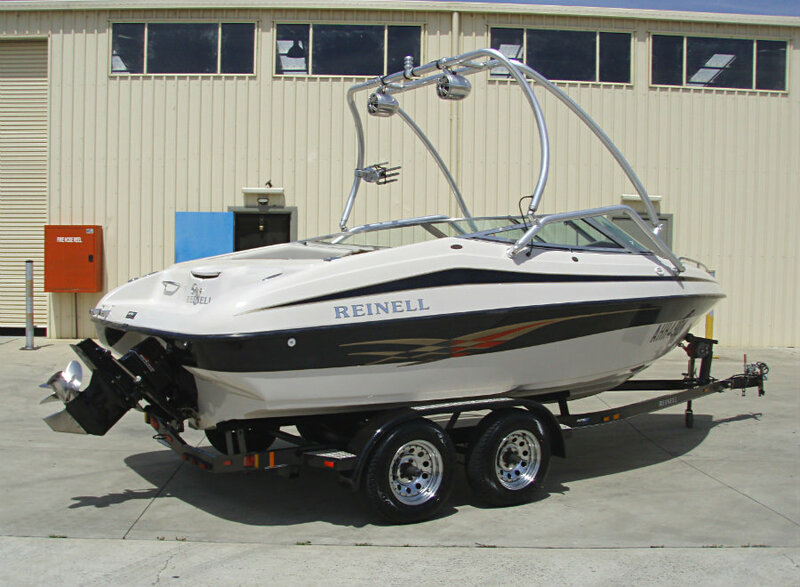 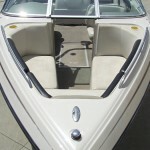 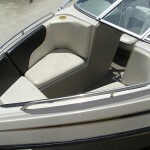 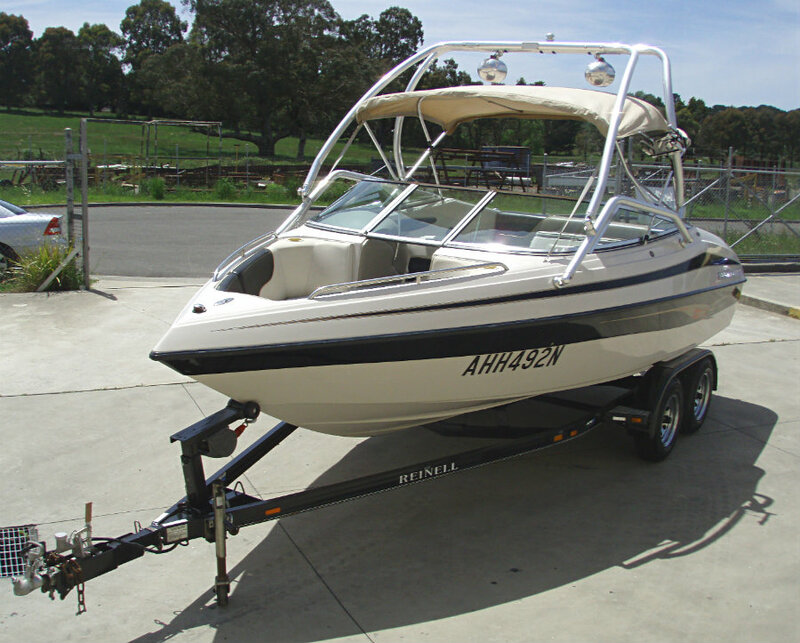 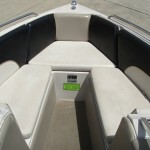 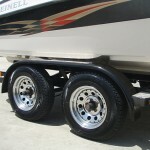 2000 Reinell 200LS Bowrider powered by a almost new 5.7L V8 250hp Mercruiser engine with an Alpha One leg sterndrive. 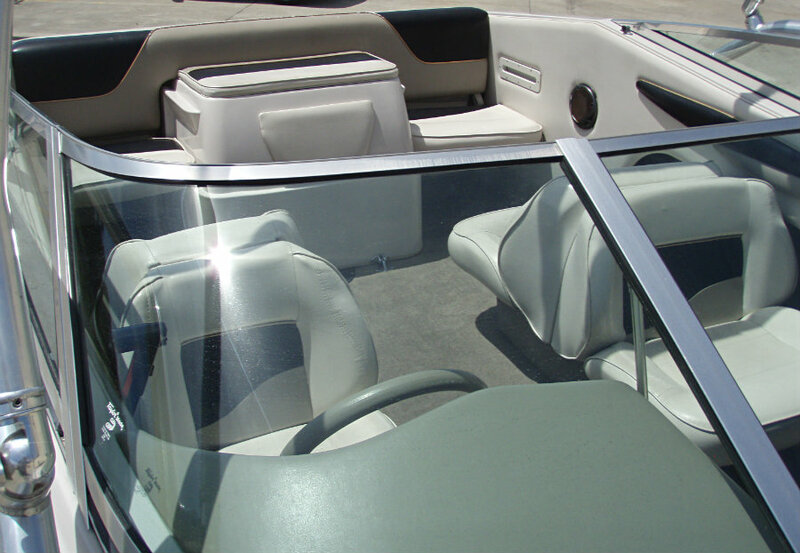 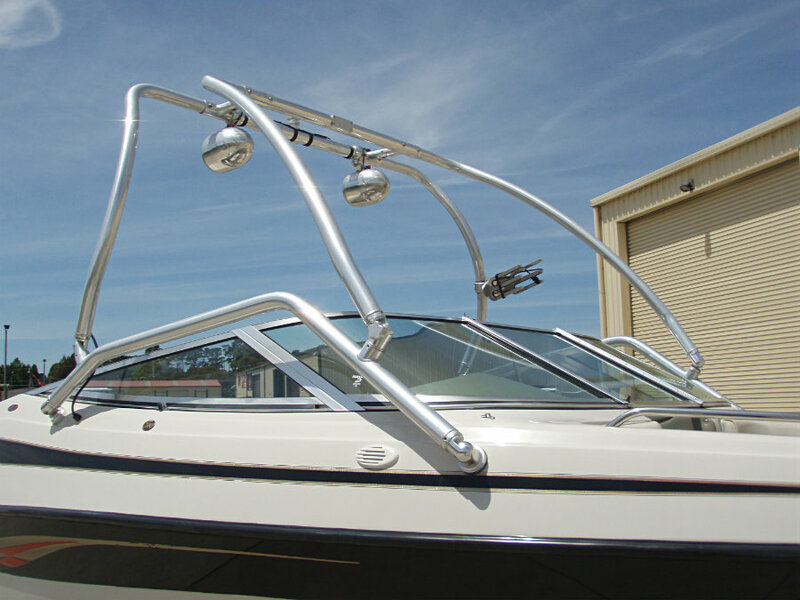 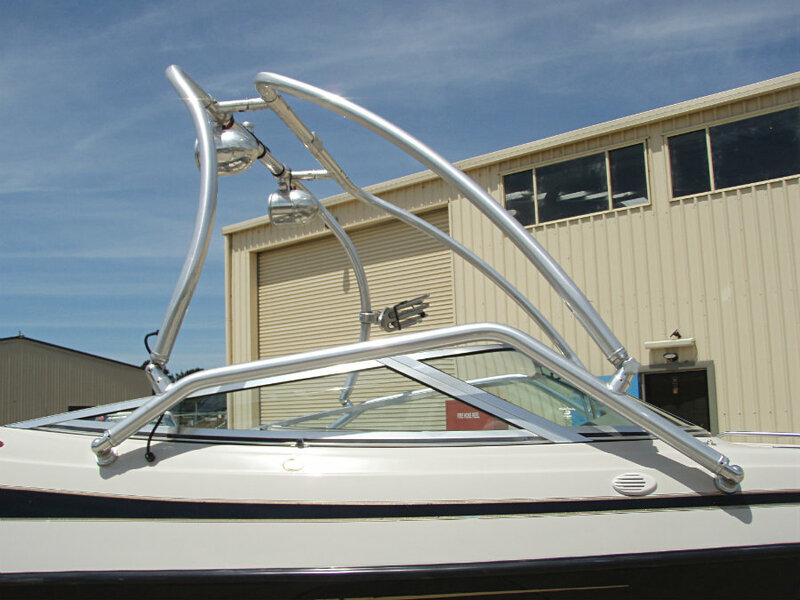 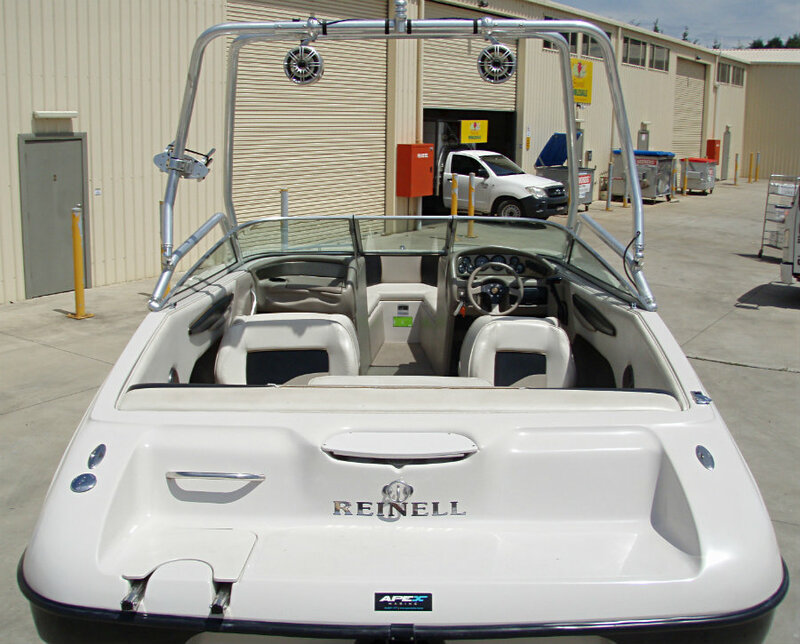 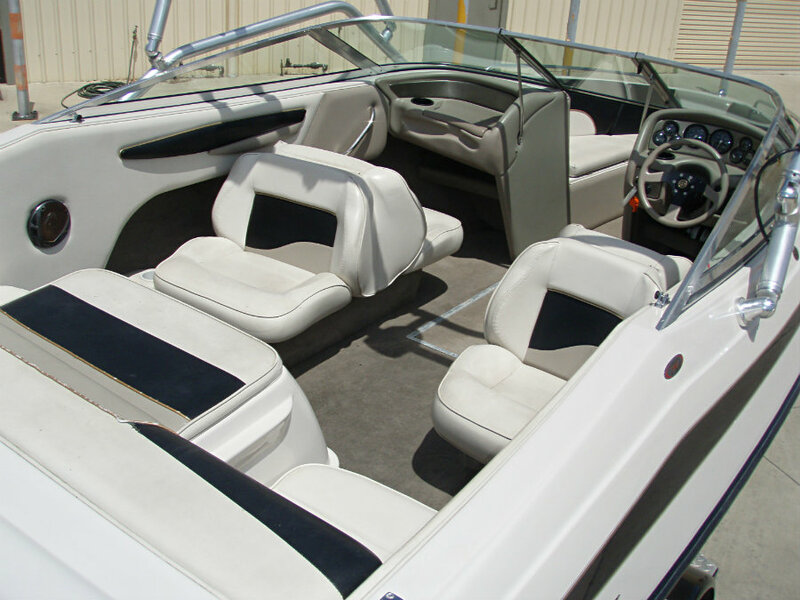 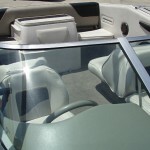 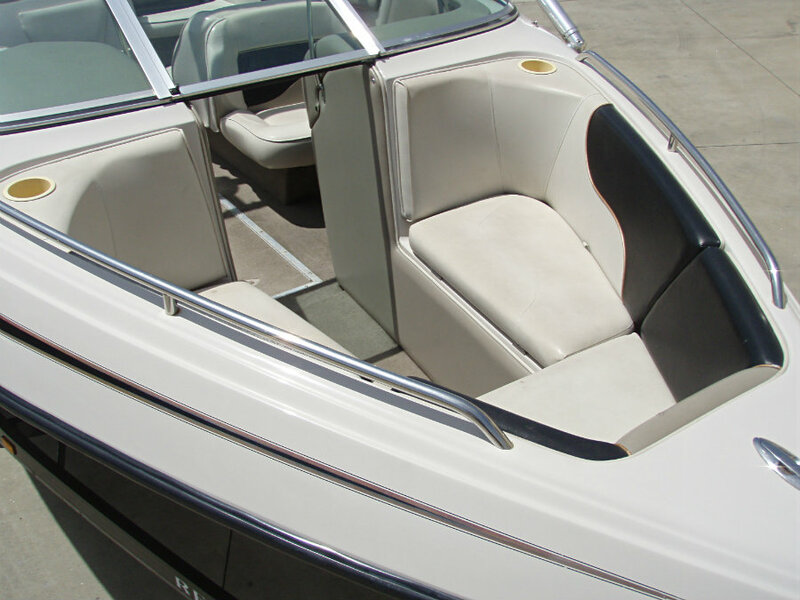 This 20′ Reinell is the most popular in their range, and you can see why – it is designed to offer a huge cockpit area with the looks and safety of a sleek high-sided boat. 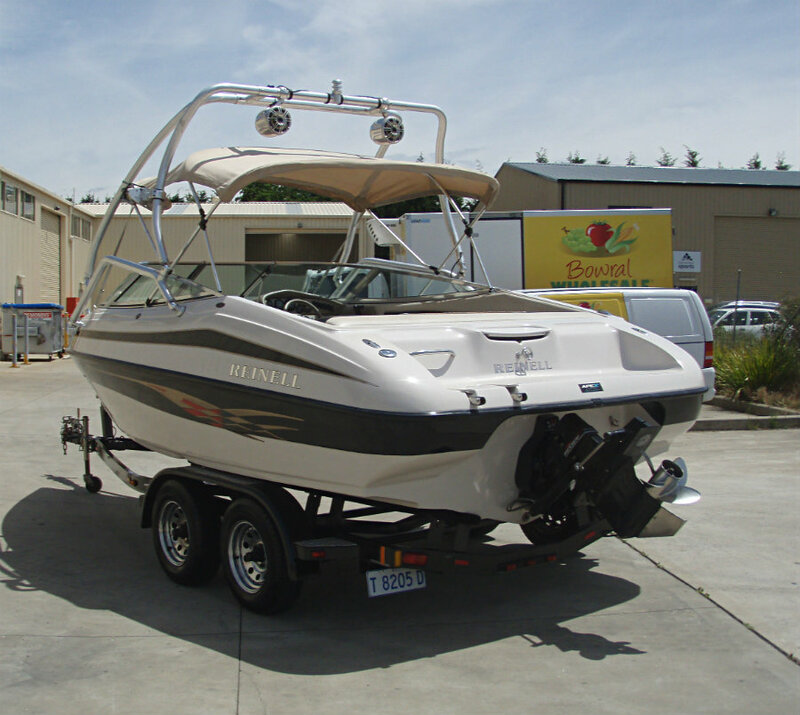 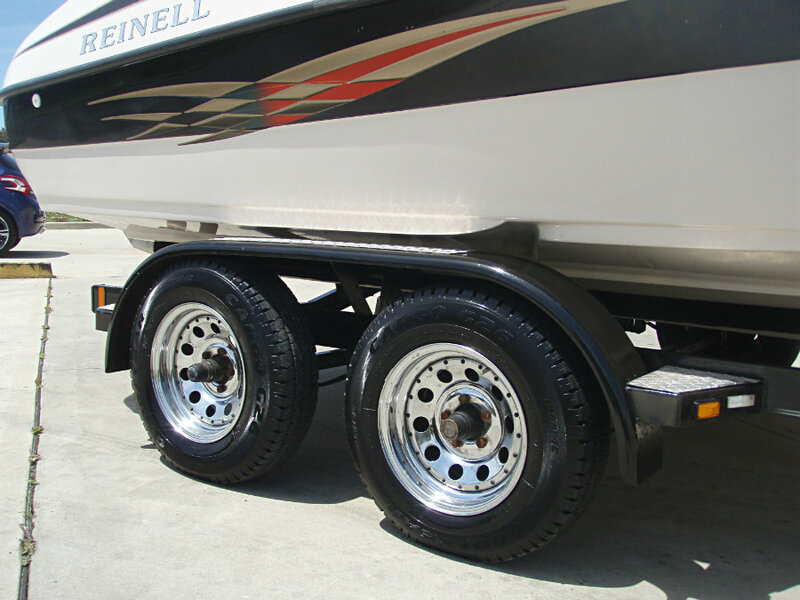 This 200LS is extremely versatile and is loaded with amentities. 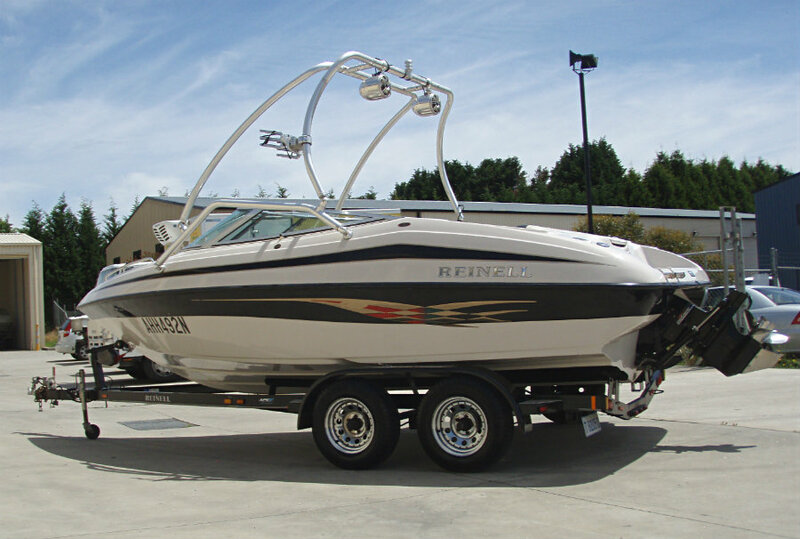 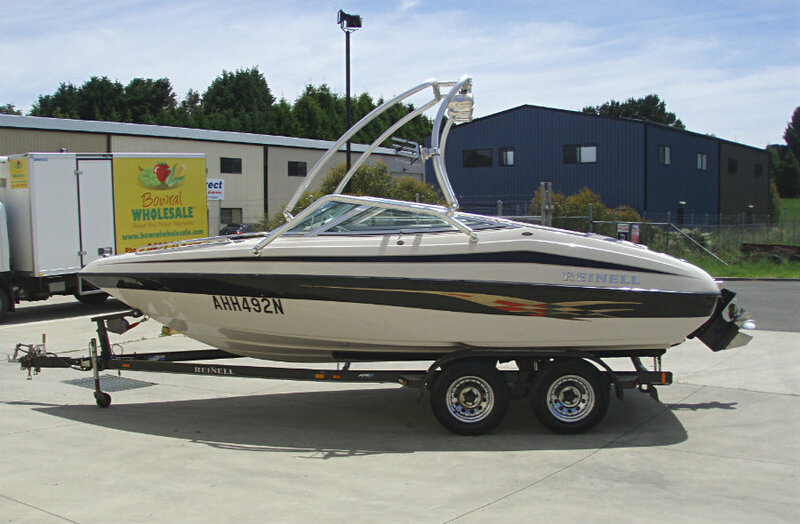 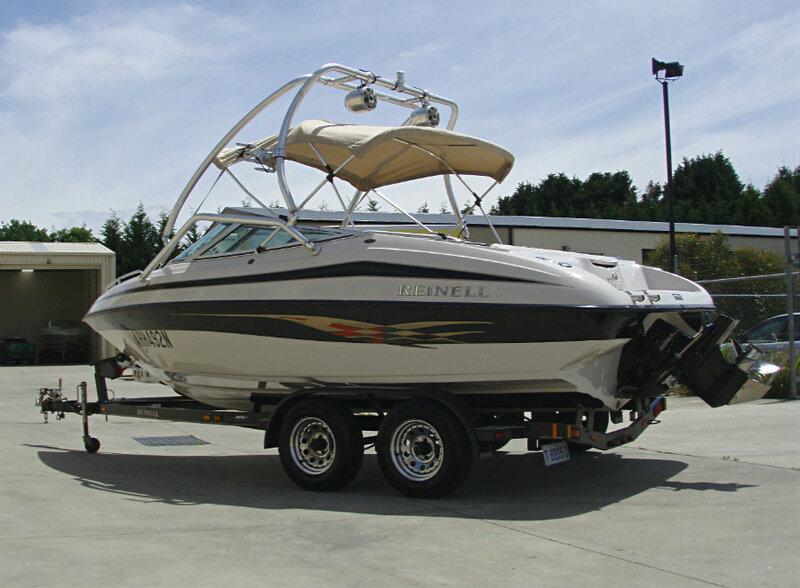 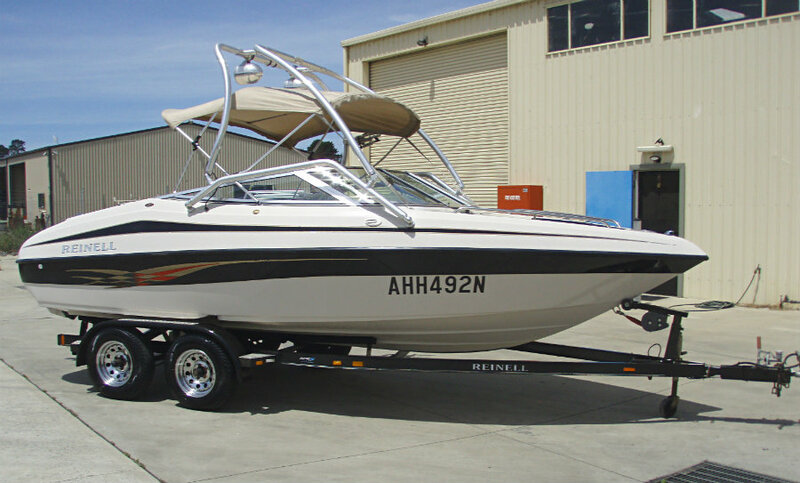 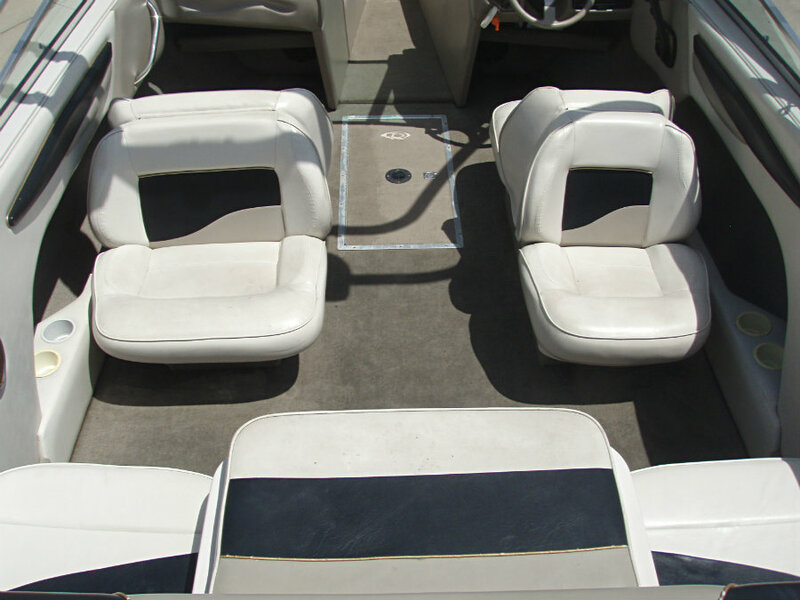 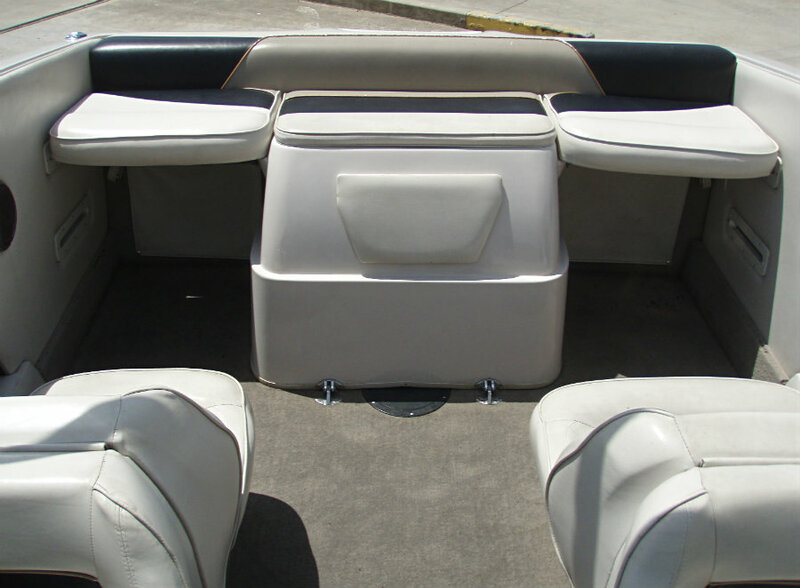 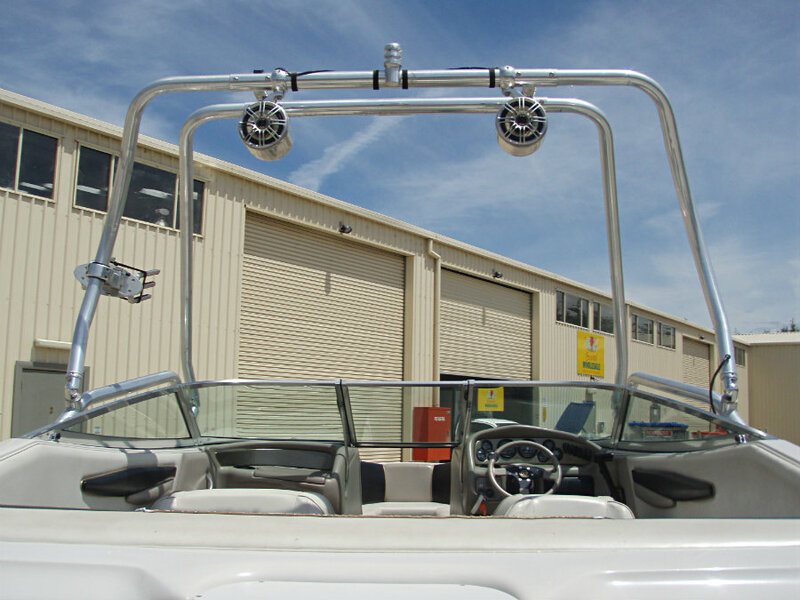 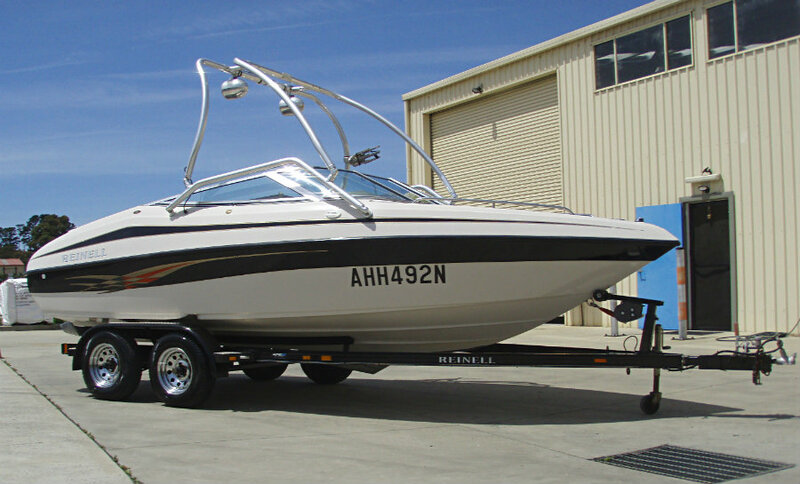 It features the upgraded 5.7L V8 engine producing 250hp and with loads of torque, and a wakeboard tower w/ speakers & board rack. 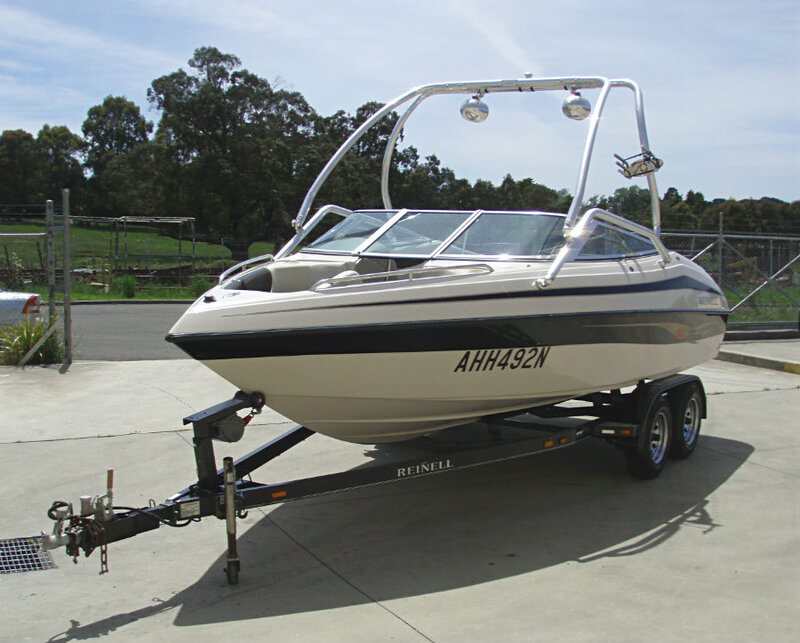 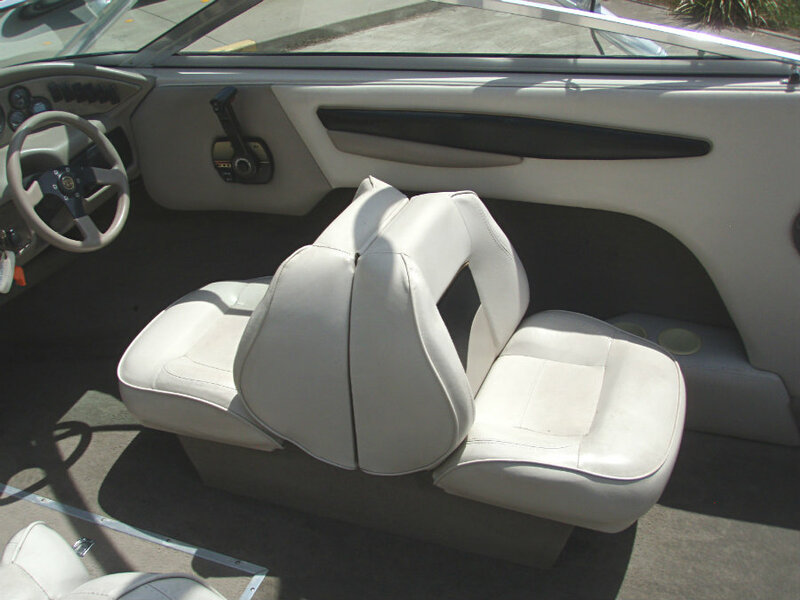 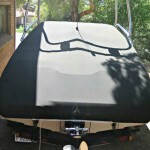 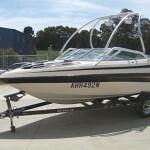 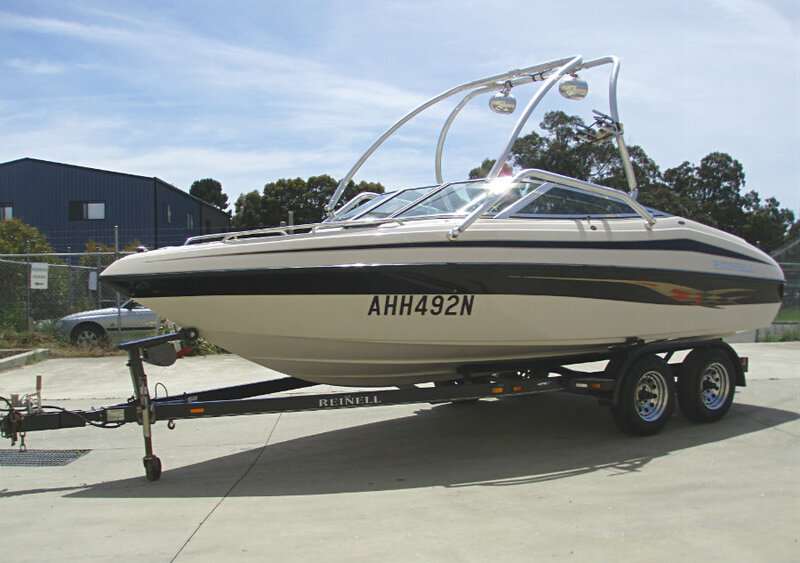 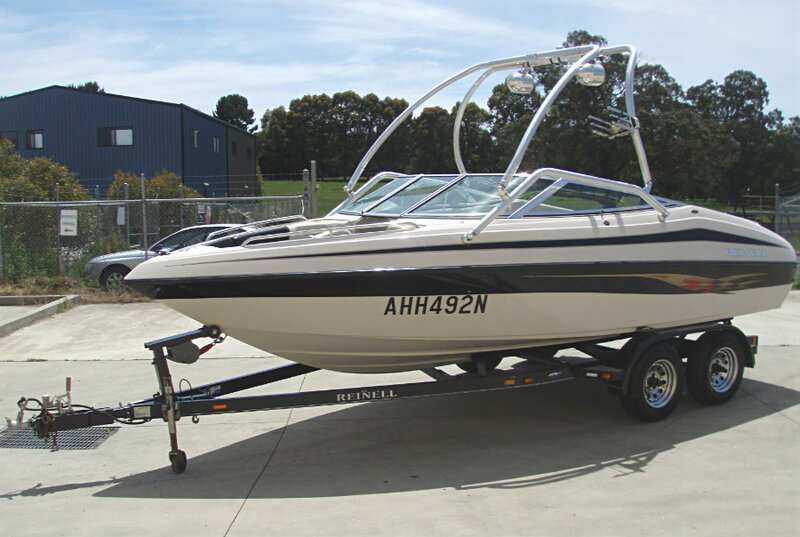 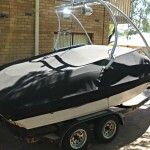 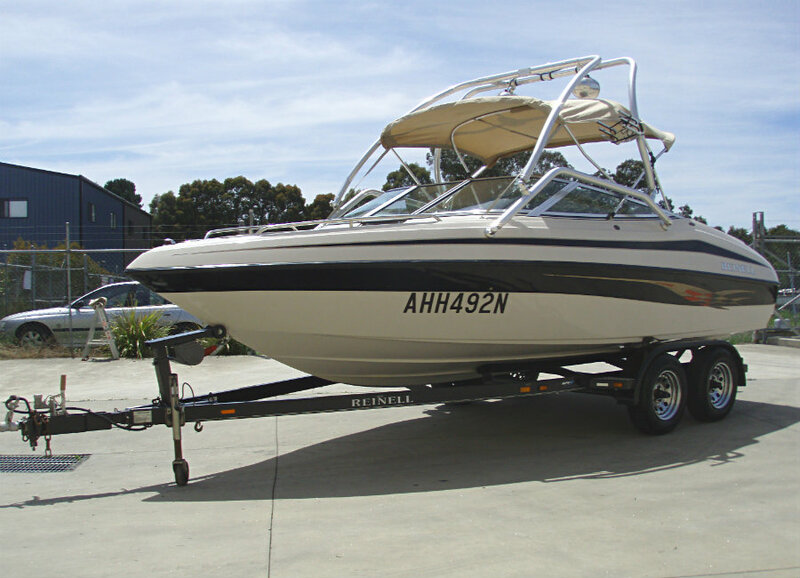 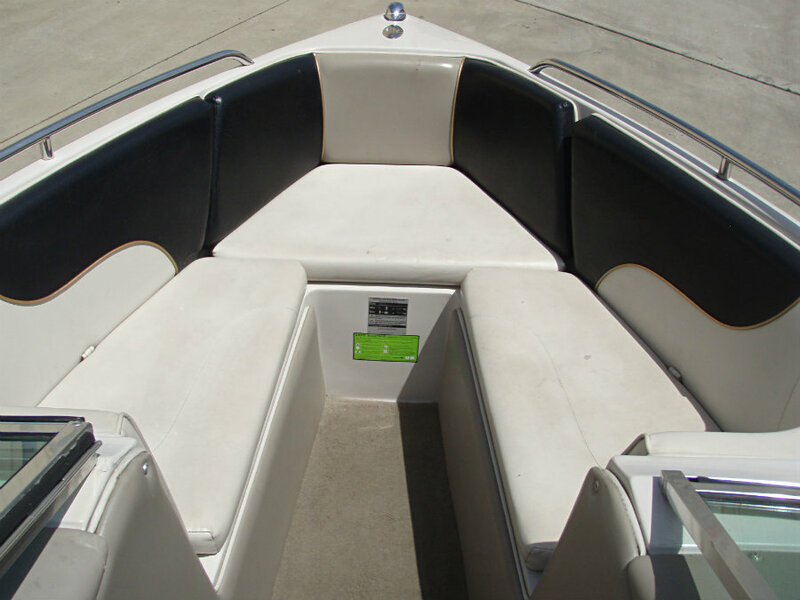 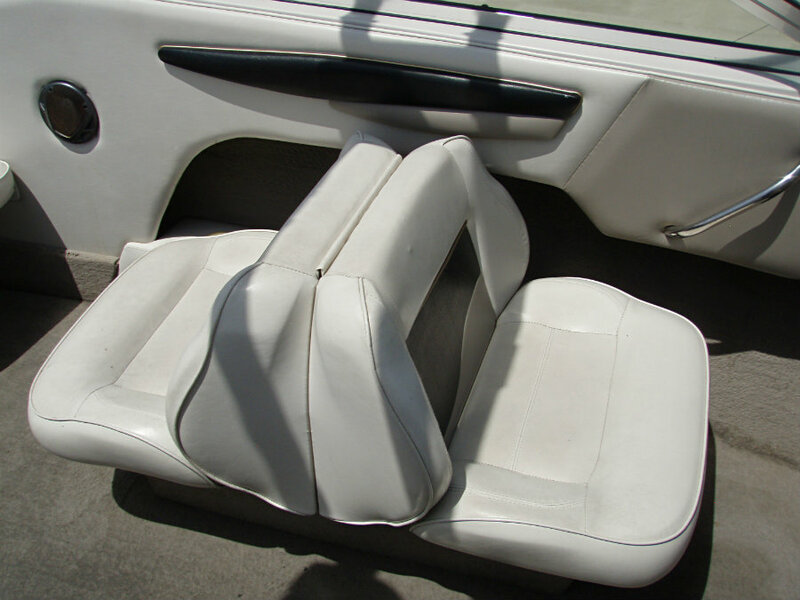 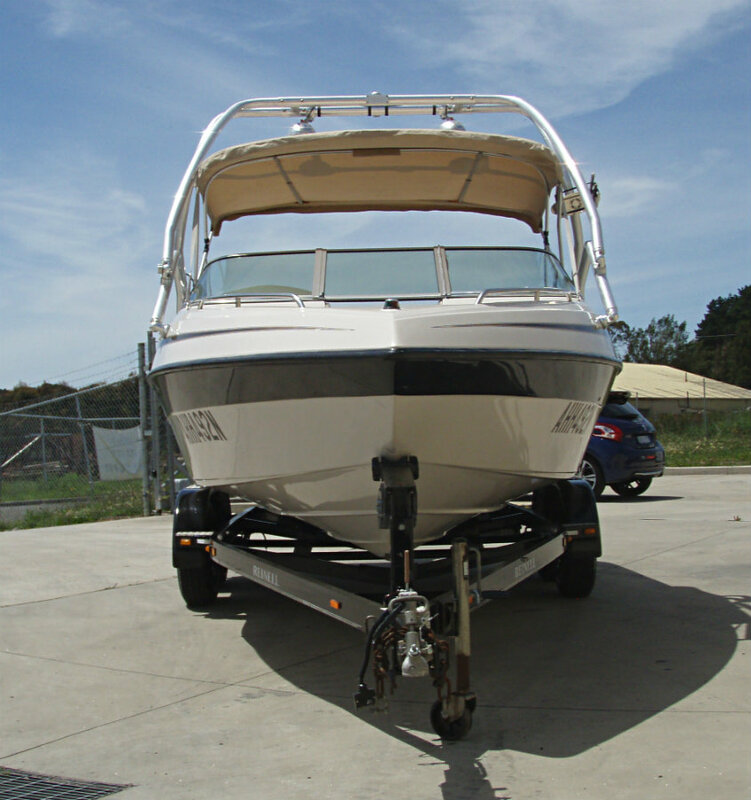 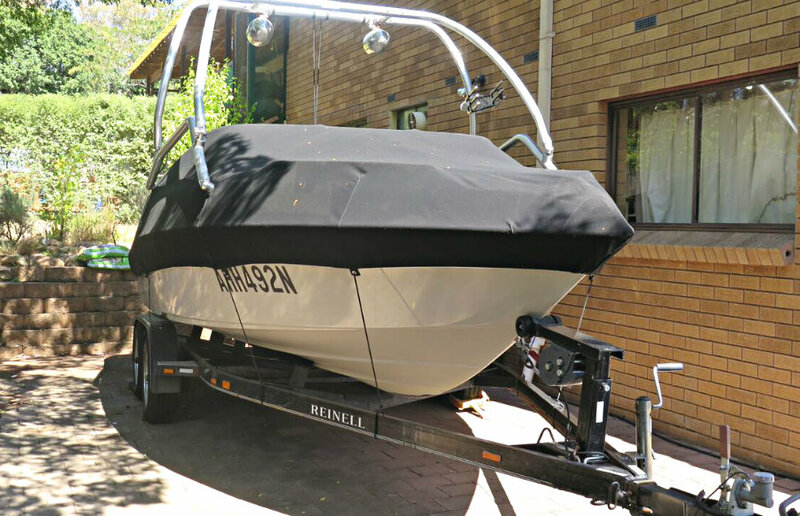 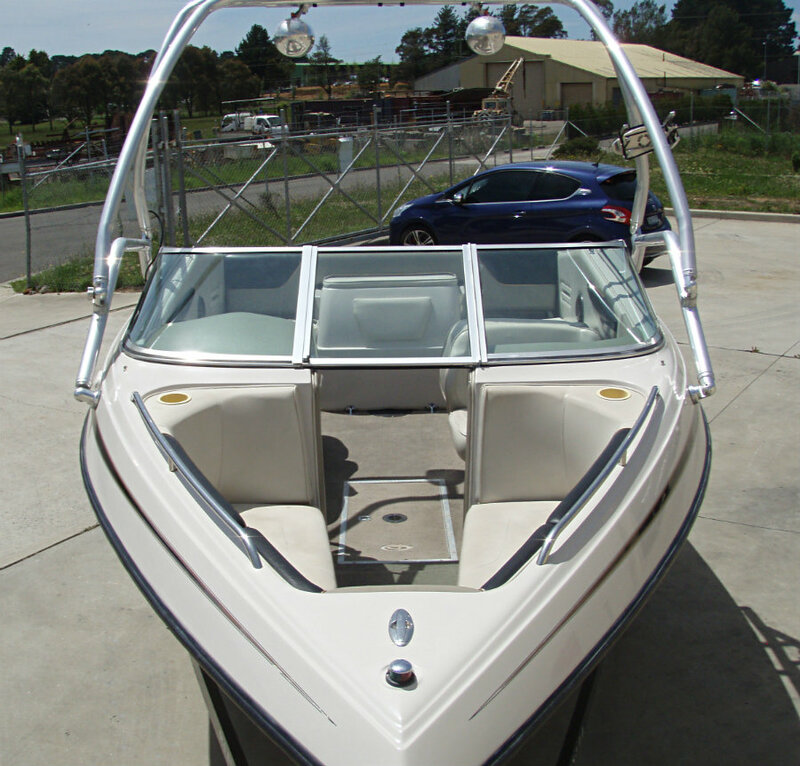 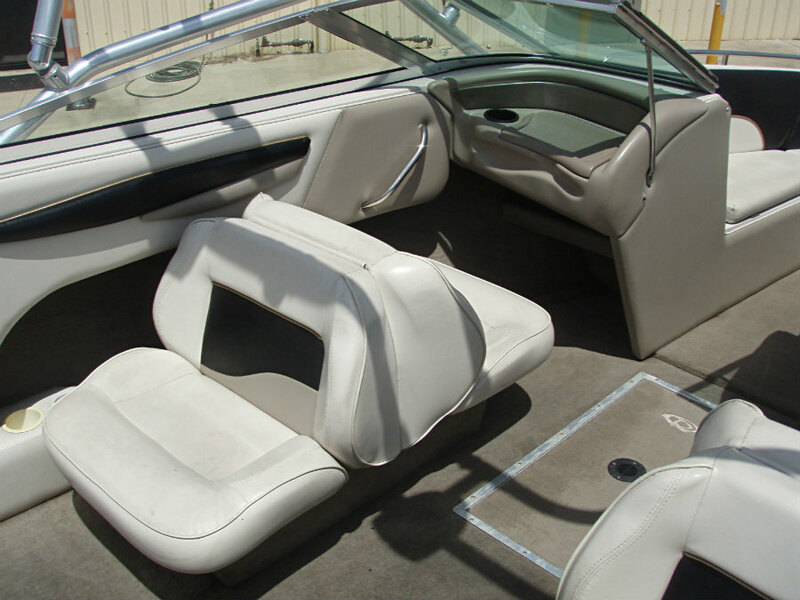 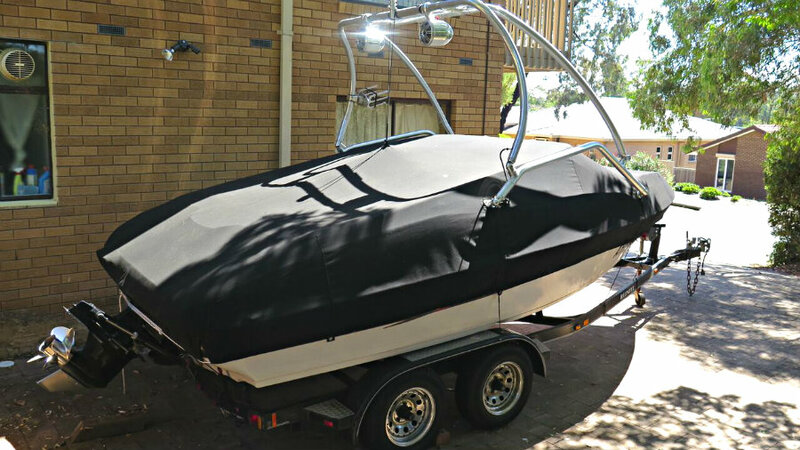 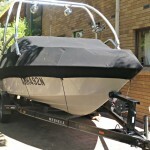 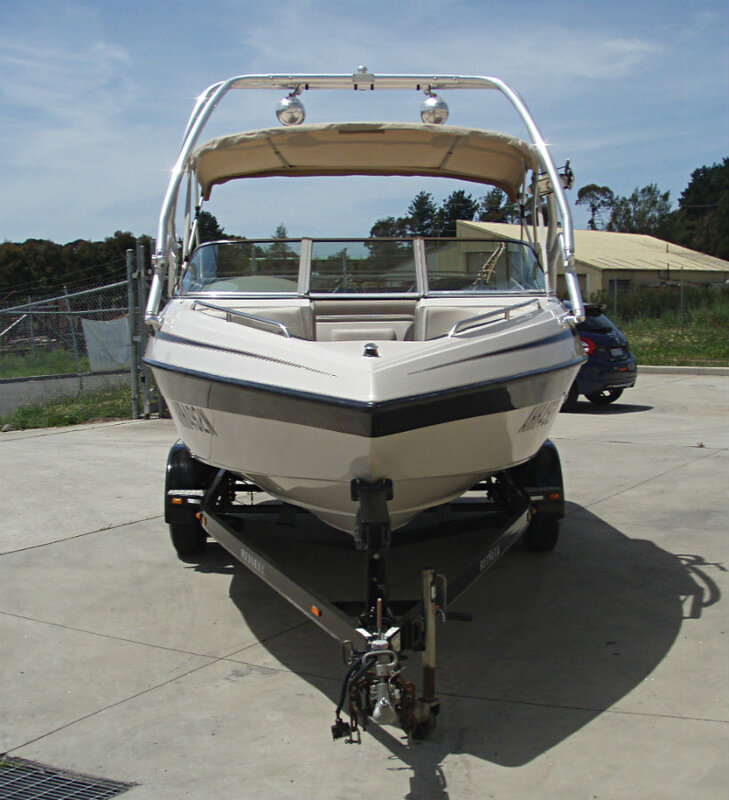 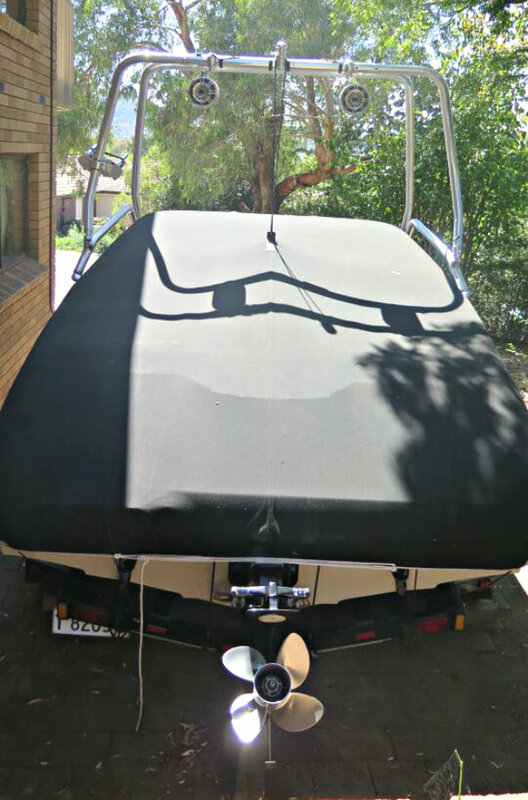 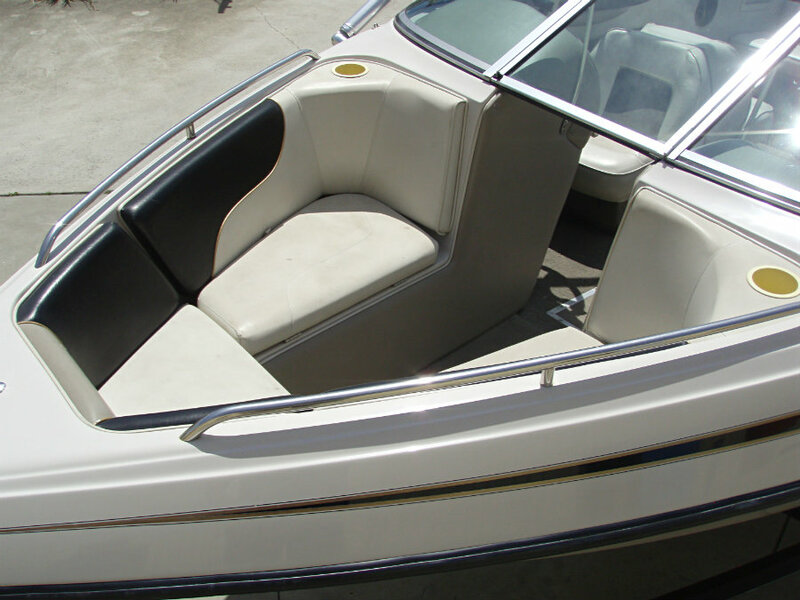 You will find this 20′ bowrider in very good condition for its age, and it is an awesome family boat for those wanting space and depth particularly for children, and with its sleek lines and black-on-white colour scheme you will for sure be noticed on the water, whether on the harbour, in the bay or skiing the river.